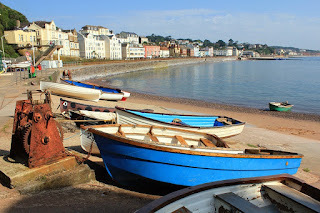 Little Mermaid Cottage is over 200 years old and is the largest holiday cottage in Dawlish. 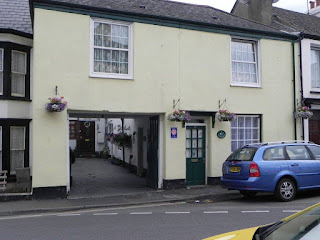 The cottage is in the centre of town, close to the beach and a range of local amenities. Upstairs are 2 double bedrooms which are all beautifully furnished. A separate cloakroom and bathroom with shower are available. All the rooms are double glazed with central heating. Downstairs there is a cosy lounge which includes an inglenook fireplace with comfy suite, digital TV and music centre. A fully fitted galley kitchen comes with all the necessities for comfortable living for up to 6 people. A charming dining room has a gas fire, solid wood table to seat 6 people and double futon for 2 extra people. Devon is popular for walking, cycling, horse riding, golf, fishing, surfing, sailing and much more. Beaches pubs, restaurants, cafes and takeaways are also nearby as well. Many great days out are nearby.